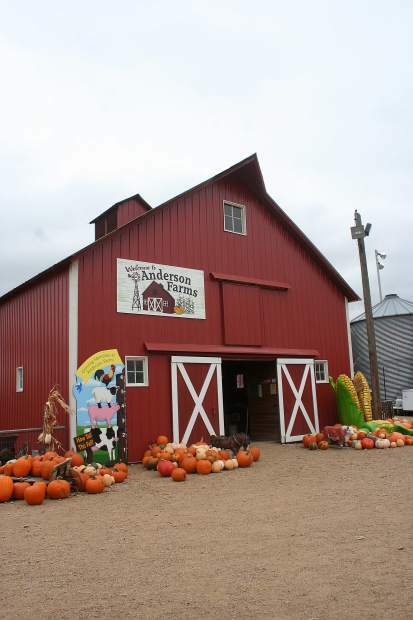 Anderson Farms offers many attractions and learning opportunities during their Fall Festival. Fall is a celebration of the turning of the season, cooler weather, pumpkins and corn mazes. At Anderson Farms, people can celebrate all of these things, while enjoying time with family and friends. Anderson Farms began their agri-tourism business in 1997, when Jim Anderson had the idea of starting a pumpkin patch for area residents to enjoy. “He had friends in other states that were doing pumpkin patches, and it sounded like something fun and different,” said Rachelle Wegele, the daughter of Anderson. The business had its first expansion in 1999, when the corn maze was added. This was Colorado’s first maze. “It had started to become popular around the country, so we thought we’d give it a try,” she said. She added, “The first year, dad thought he could do it himself. Not knowing any better he took a tractor into the field when it was full grown and just started cutting a path. It was a very simple design. The next year we hired MazePlay in Idaho, and they have been our designer ever since,” she stated. The maze now covers 30 acres, and this year’s design is a Native American theme (Arapahoe Indians), with a horse, a buffalo, teepees and Chief Niwot. “We like to keep a farm/country/local history theme in our design every year,” Wegele said. The design is brainstormed starting in November, and by February the design is picked. The rest of the process is fairly easy. 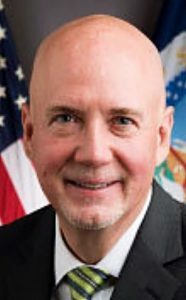 “We usually have our design in place and done by the end of April. MazePlay arrives at our farm in early June and spend 24-48 hours here. They have two small tractors with GPS units on the front and tillers on the back. They just drive in the field following their pattern on the GPs and cut out the trails. The corn is about 6-inches high at that time. Once we are done irrigating in late August we go back through the maze and till all the paths again to kill the weeds and flatten the ditches,” said Wegele. The Fall Festival is open for six weeks in the fall, and the family sees more than 70,000 people during that time. “This includes field trips, and both our Fall Festival and haunted activity guests,” she stated. “Our field trips are geared toward school age children. The pumpkin patch field trip teaches the kids about different products grown on the farm. Each child gets to pick a pumpkin from the patch to take it home. The corn maze field trip teaches kids about how GPS works and how it was used to make our maze. Then they get to try out the maze for themselves,” said Wegele. Education is a vital part of the business. “We feel that educating the community about farming is important because so many people are now two to three generations off of the farm, and don’t have any other opportunities to visit a farm,” she said. The Anderson family has been farming since 1911. They have been at their current location since 1958. The family purchased the land at that time as a trade for land that the state took from their farm, about 9 miles north, to put in I-25. The business has continued to expand since its inception. Anderson Farms is now a year round agri-tourism business with catered events, weddings and field trips in addition to the Annual Fall Festival. The crops grown on the farm are wheat, barley, hay, corn for cattle and pumpkins. In 2007, Wegele and her husband Michael joined the business. Michael keeps busy farming and maintaining the farm, while Rachelle takes care of the business side of the operation. The 101-year-old farm offers old traditions, as well as new events to its patrons. In addition to the Fall Festival, corn maze and Terror in the Corn, which is the haunted maze, this year the farm offers a zombie paintball hunt, as well as the opportunity to see the world’s largest man-made pumpkin. “We got the idea for the giant pumpkin while touring farms in another state. Mr. Anderson built the metal frame and then an artwork company called Little Spider Creations completed the outside. They covered the frame with Styrofoam and then painted it and sealed it. We had it lifted to the silo by a crane on July 26, 2012,” said Wegele. The building of the pumpkin was started in January of 2012. The pumpkin is now considered the largest pumpkin in the world ever built by man. The pumpkin is 24-foot in diameter, 18 feet high, and weighs 7,000 pounds. The pumpkin is so large it can be seen from Highway 52. One attraction that the farm has had for over a decade is a buffalo named Miles. “We have had him since he was 6-months-old, when he joined our farm after his mother died. We found him in a classified ad,” she stated. The Anderson family works hard every year to make the experience people have at the farm better. “We take time to discuss what didn’t work and start brain storming how to make it better. We go to trade shows and conventions for farms like ours to learn about what’s new in the industry,” she said. They also love working within their community. “We enjoy being able to entertain and educate people. Farming is what we know and we are glad to share it with people who may not have the same level of exposure we did growing up,” said Wegele.